Welcome to The Gathering Games Day 2019, Saturday 23rd February. Celebrating over 20 years in Irish Gaming! That's right folks: The Gathering was founded in February 1997 & we've been organising & running games since then. Over the years we've run many National & International Events & continue to do so. This third Games Day is the next of what we hope to be many in bringing all these games & gaming groups together at the right time of year by hosting all these events at the same time. Of course, this allows us to host lots of other games alongside these events for people who would like to turn up in a magnificent gamer-friendly venue with a very professional staff on board to help old hands & new players alike. This year we can welcome & thank the many different groups from within the Limerick gaming community who have come together under our Games Day banner to run this event. A true testament to the more than 20 years of gaming in Limerick. We cater for all ages, young & old, & one of our particular hallmarks is that this is a very family friendly affair where people of all ages are welcome. To avoid any confusion - this not Conclave (our annual games convention which we have run over 20 years now). Conclave will run as normal in June 2019 at Thomond Park, Limerick. Keep an eye on our site for details of Conclave 2019! While the Day Ticket is €15 many of the competition events below have different prices as these carry prizes. However, don't worry, if you want to play these games, there will be many public participation games; Board Games etc that you can play on the day under the Day Ticket. Also, non-participating parents/guardians etc obviously do not pay entry, all are welcome, so if you are a gamer or part of a gaming group that would like to come & experience gaming at it's best in a convention atmosphere for a day then this is the place for you. If you would like to pre-book for any of the events below no payment is required, just give us an email & we'll reserve a slot in that game for you. Welcome to The Gathering Games Day & the Yu-Gi-Oh WCQ: Regional Qualifiers. This differs from many other Regional Qualifiers around the country as we particularly cater for a younger crowd (under-13) as well as the more experienced players. We do this by running additional Side Events along side the main Tournament allowing players to continue playing throughout the day & receiving prizes as prestigious as to rival those of the overall Tournament! We will also have a Tournament running at the same time as the WCQ: Regional Qualifier for those who'd like to enjoy the atmosphere of playing at a big convention event but don't feel confident enough to play in the WCQ: Regional Qualifier. Over the years this has proved very successful & our Events are very family friendly. 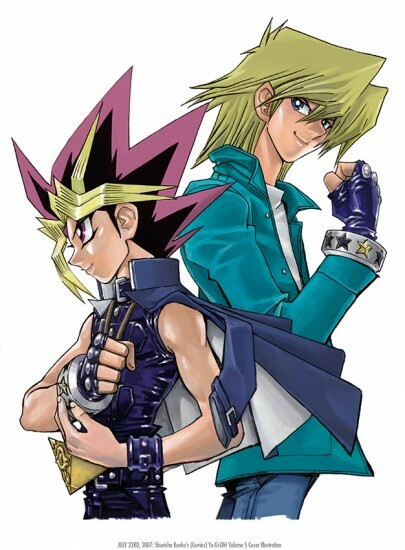 If you don't feel like competitive play & just want to turn up to play or learn Yu-Gi-Oh then that's fine too. If you are travelling to attend the WCQ: Regional Qualifier PLEASE ensure you have your KCGN ID number on hand to help the TO set-up & run the event smoother & aid in reporting the event correctly to Konami. For our local players this is less of an issue as if you are a regular player we will have your ID already in the system. The Gathering will be running multiple Events through out the year to see who can control The Gathering, Ireland's longest running L5R Stronghold Store! European Organised Play: due to the large discrepancy in between the US release date and the European one, to start the 11 day rule as of 14.02.19. As such, the new L5R expansion, Children of the Empire, cannot be used at any Elemental Championships ran in between 14.02.19 and 25.02.19. Therefore Children of the Empire cannot be used at The Gathering Games Day 2019. Other L5R Events are planned to run throughout the Day, so you can L5R-away the Day to your hearts content! Magic CCG Events for The Gathering Games Day are priced with out the Day Pass. These Magic Events will be run on the day & organised by Dave Tuite, & run on the day by Connor Fitzgerald. There are starting & registration times given here but events will also be run throughout the day on request. Magic at The Gathering Games Day is run on a casual format & is an ideal opportunity if you are a beginner to partake in several Magic Events in a friendly atmosphere at a great venue. As most Magic events at conventions follow a far more competitive strain, this is an ideal opportunity to play this great game & learn from the players attending as they are quite friendly & more than willing to help. - Win the Ultimate Masters Promo Booster! For players who would like to try this Format but do not have the appropriate deck for it - Decks will be provided for EDH on the day for those that want them! The Gathering Games Day Pokemon CCG Tournaments will follow the same format as our weekly Pokemon sessions at the weekends. There will be enough competitive flair for the veterans & plenty of chance for the younger & less-competitive Pokemon-ers to enjoy just playing the game. Tournaments will be split into Under-11s & Over-11s. As with the Yu-Gi-Oh & the Board Games: if you want to just turn up to play or learn Pokemon then that's fine too. Entry to your FIRST Pokemon Tournament of the Day is covered by your Games Entry Fee - i.e. your €15 Games Day Entry Fee will get you into your FIRST Pokemon Tournament of the Day for FREE! Other Pokemon Tournaments will be run throughout the day on demand dependent on player numbers! Warhammer 40k Rule Book, FAQ's, Chapter Approved and Current Beta Rules will be in effect. Missions and Deployment will be decided on the day. Take your pilots into fast paced dogfights in the void of space! Fighters; Bombers; Aces & Scum - take your pick, built your squad & dive into action! Never tell me the odds & never trust your green dice! There will be plenty of space for Casual Play prior to & after the Tournament if you want to get more games in, or learn to play & spend the day X-Wing-ing! Celebrate Greengrass in the city of splendours! A week of festivities, games and events. Join in on the festivities and join the city in saying good riddance to the Claws of Winter. The city of Waterdeep is holding a grand festival to welcome the new growth and warmth of Spring. Gather your companions and friends, sign up as champions for one of the Wards and compete in the events throughout the city. Individuals can showcase their strength of arm in the wrestling bouts or their keen eye in the archery competition. Watch the minstrels and bards as they battle with words that cut to the bone and feat on the finest fair from all across the Sword Coast and beyond. Or sign up for the group events and win fame and glory (and much gold and magic too) for your chosen Ward and Company. The relay foot race through the city, up a little of Mount Waterdeep and across the waters of the Bay, is always a showcase of exceptional might and mastery of magic. Join in on the mock skirmishes or try and take down simulacrums of some of the realms most powerful and deadly beasts! Participation & Demo Games across many, many systems & formats across the whole day! Sign-Up sheets will be located by each game/table where people can sign-up to play &/or leave their details & express their interest in playing these games at a later date via the The Gathering Gaming Club. Entry is covered by the Day Entry cost of €15 & are all "Casual Play"
Blood Red Skies - Blood Red Skies is a tabletop miniatures game where you command formations of fighter aircraft in battle. Action in the game is fast-paced - with six or more planes per side, a thrilling dogfight can be fought in forty-five minutes or less . Kev Mullins will be running Participation/Demo games through out the Day! This will be a 400 point game in which Kev will provide all the models & have the scenario ready to go! Bolt Action - Bolt Action is the leading 28mm World War II tabletop wargame, using miniature soldiers, tanks and terrain to fight battles in the shattered towns of occupied France, the frozen steppes of Russia or even the sweltering jungles of the Pacific. DBA: 15mm army scale combat. Learn History through battle in four periods with this excellent single D6 system. 12 units a side; 1 dice; a tape measure & a small table & you're away! Field pretty much any force through history; from the Biblical Era to the High Medieval period! Knights, Elephants, Pikes, Blades, Artillery & Archers - all clash in DBA! Command Decision: Over The Top: 1:72 scale WWI combat. German Stormtroopers take on the Allies in the trenches! Test of Honour: 28mm scale heroic combat between Samurai warbands! Learn to play in under half an hour! Age of Reason: 7 Years War - 15mm scale army scale combat in the age of excellent hats! Dystopian Wars: Naval fleet combat with the added edge of alien technology! Napoleonic: 28mm "Black Powder" action in the age of Revolution! Warhammer Wild West: 28mm Cowboy action with rustlin' & shootin'! American Civil War: Battle of the Wheat Field 28mm ACW combat! Blood Bowl: Learn to play this great Fantasy American Football game - Touch Downs or Knock outs? You decide! Necromunda: 40k gang combat in the underworld of the Hive cities of Necromunda where you fight for survival & scratch out an outlaw existence in the long forgotten regions of the 41st millennium's mega-structures! Age of Sigmar: Fantasy skirmish battle combat between the survivors of the destroyed Old World. Dragons, elves, dwarfs orcs & humans - they're all here in some guise or another - & after realising they survived the apocalypse they've all set to fighting each other again! There will be a large selection of Board Games available on the day for anybody who wishes to play them. These include all the currently available Fantasy Board Games Flight Games & some not so current. This is to keep inline with our Armada Regionals. For those of you that wish to bring your own games & try them out with a friend, or some friendly strangers, feel free to turn up on the day. This is a great opportunity to make new friends, play new games & touch base with the gaming community as a whole. Limerick is served by all major bus and rail networks and the international airport, so getting to limerick should not be a problem. For those of you international Travellers here is the bus timetable to and from Shannon.